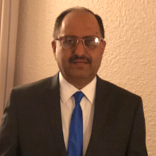 This agreement has been drawn to cover all aspects of a business relationship between a Foreign Company and its Importer in India, who is also made the Distributor for selling the Foreign Company’s products. The document is drawn in general terms without specific reference to any industry. The details for appropriate use and alteration to suit specific needs of an industry have been provided in the explanatory notes that accompany the document. 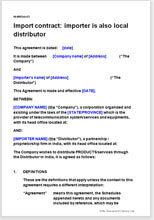 A Foreign Company arranging terms for a distribution arrangement of products or services with a partnership / proprietorship firm in India; or vice versa. Detailed explanatory notes make it easier to understand the legalities involved and to incorporate changes that may be necessary in a given situation.